This is a class totally designed for the non accountant. It will cover basic accounting terminology, and is targeted to an individual just beginning to work on his or her own who has no accounting background. It will cover how to file estimated taxes, separate business checking accounts, business use of credit cards, what types of information is to be gathered for a Schedule C, the importance of Section 179, how to determine if you are running a home based business, Form 8829, and completion of necessary paperwork to file those taxes. A portion of the class will be setting up to use excel spreadsheets for simple accounting which allows easy changes to other software if demand increases. 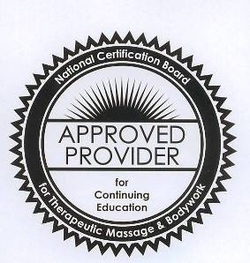 Qualifications to teach: – Coursework: 6 hours of College Accounting; Eighteen years of accounting for others, 16 years of doing self employed taxes, 8 of them in massage. Partnered with a strong person with excel skills allowed development of excel for massage to simplify accounting needs with the beginner in mind. For information about the instructors click here: Stacy Proffit and Margo Benge.